The 49ers made an aggressive trade in the 2017 season and look to have claimed their new franchise QB. 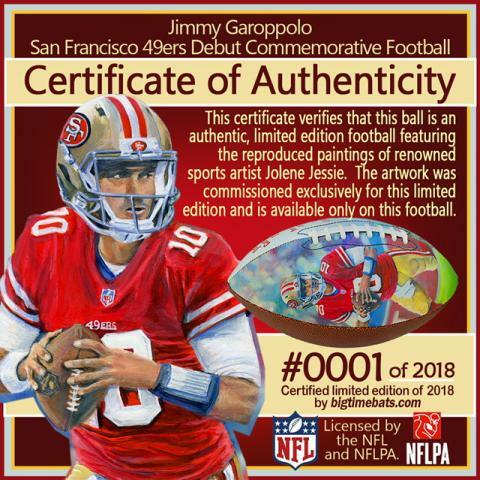 A few weeks after the trade, Garoppolo finally got his chance to take the controls of an NFL offense. 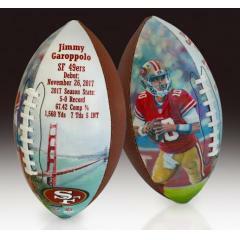 What a debut it was as he won his 5 starts for the 49ers while throwing for 7 TDs and over 1,500 yards. 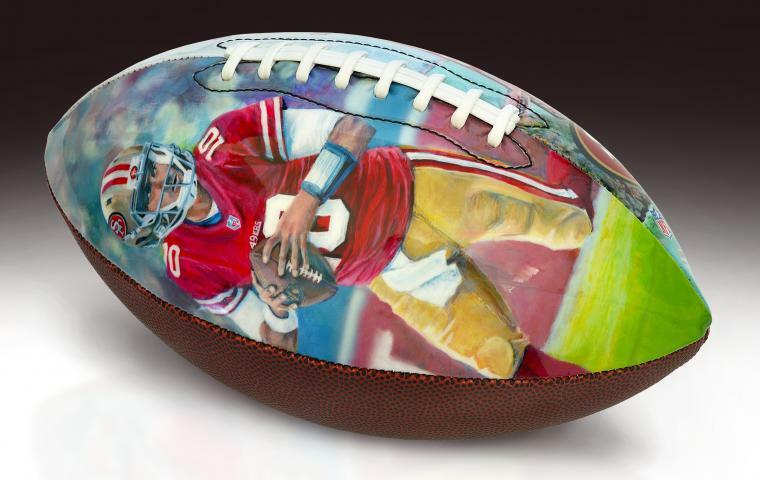 Now with a franchise of famed QBs, Garoppolo is primed to be the next big name in the NFL. 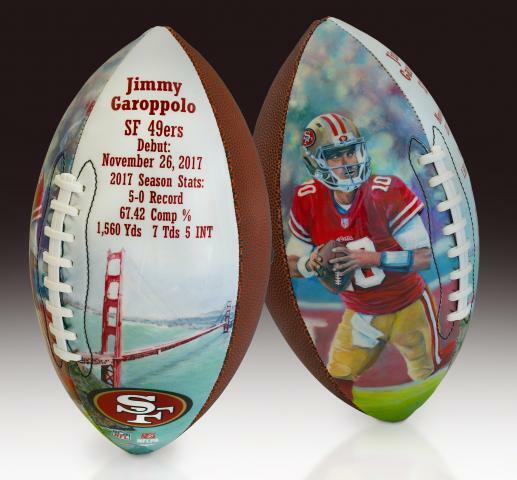 This limited edition collectible art football features the reproduced work of talented artist Jolene Jessie, along with Garoppolo's 2017 season stats and images of the famed Golden Gate Bridge. 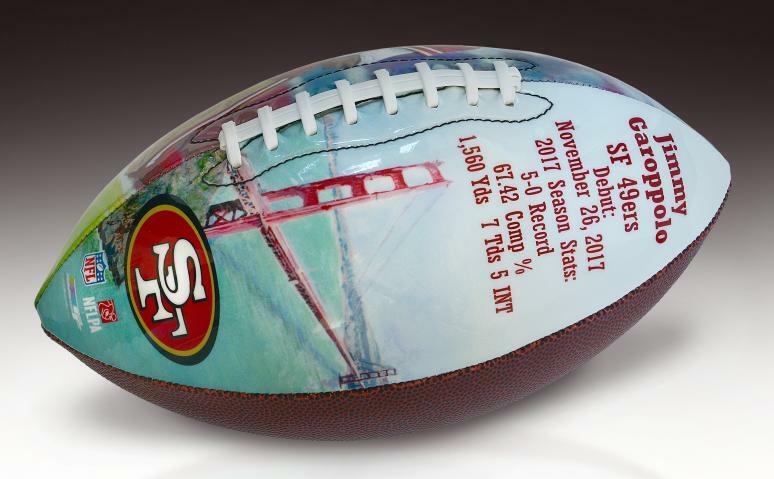 These full size footballs come with a numbered certificate and licensed by the NFL and NFLPA. Get yours today before they are gone. Due to the limited nature of this offer we must charge your credit card for the full price immediately upon receiving your order. This policy ensures we reserve a ball for you. We will confirm your order by email. These balls are not game used. Please allow 4 weeks for delivery.